Princesses and Mermaids for your party or event in Louisiana! The Petite Princess Company was founded on a unique principle; creating magical princess parties and character experiences for the children of South Louisiana. We dedicate ourselves to bringing the highest quality children’s entertainment to birthday parties, promotions, festivals, corporate events, schools and church events and so much more. We also host several of our own ticketed events such as the Royal Princess Ball and Winter Teas with the Snow Sisters that are wildly popular! Our efforts have not gone unnoticed…we were voted a “Family Favorite” in the Children’s Entertainment category by Baton Rouge Parents magazine for 2016, 2017 and 2018. Here at the Petite Princess Company, we pride ourselves on our character diversity and professionalism. All of our employees are trained in performance skills, costuming and makeup and we offer the highest quality and most realistic character experience on the market. The professionalism and talent of our cast is unmatched! And we do all this while also maintaining the MOST AFFORDABLE princess entertainment company in South Louisiana. Located near Baton Rouge, we travel from Lake Charles to New Orleans spreading pixie dust wherever we go. We are a local company that strives to provide a high-end theme park princess encounter right in your own home, at a much more affordable rate. With more than 20 different characters, a swimming mermaid and even a unicorn princess currently on our roster, we are sure to have your child’s favorite storybook character. Our typical princess parties include singing, dancing, photo sessions, storytime, coloring, a coronation and singing Happy Birthday. Mermaid parties include pool games, bubbles, scale tattoos, fun with shells and more! We can customize any party….let us know if you have a special request. Our quality speaks for itself, but check out what others are saying about us on our testimonials page. We have made thousands of dreams come true and can’t wait to meet your little princess next! We look forward to making your next party or event magical. Give us a call at 225-347-1981 or drop us an email today! Be our guest, be our guest, put our dining to the test! 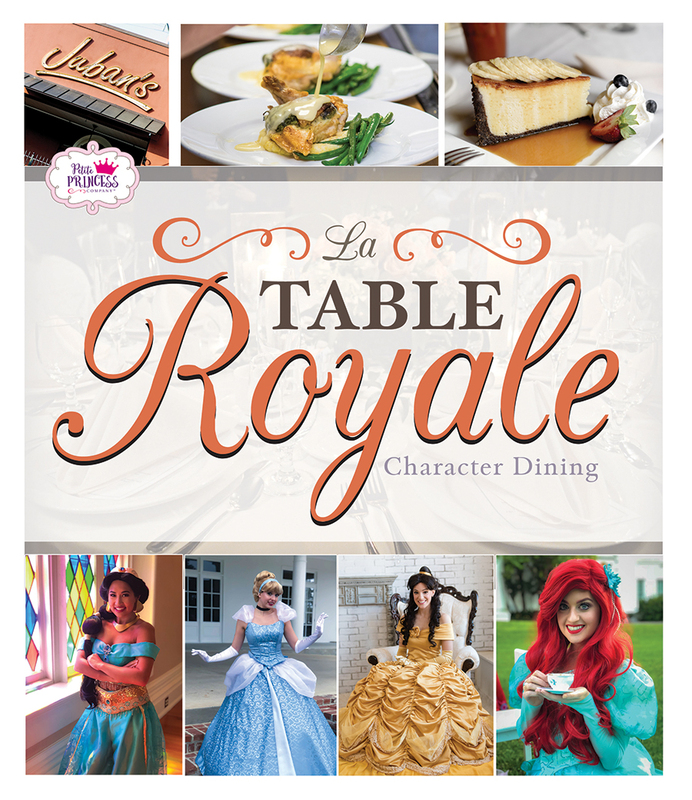 And now we invite you to relax, let us pull up a chair, as the Petite Princess Company proudly presents our newest event; “La Table Royale”! Inspired by character dining experiences at leading resorts, this event will be held on Saturday, May 25th beginning at 11am. Enjoy exceptional French cuisine at Juban’s fine dining while visiting with your favorite princesses! TICKETS ON SALE THIS FRIDAY, MARCH 29 AT NOON on our Facebook page. Click here to sign up for updates on our Facebook event page. Do you have what it takes to join Louisiana’s largest princess entertainment company? We are looking for talented applicants between the ages of 18-29 to join our cast. Click here to apply!